Win Skating Passes for Naming our Bears! Hey Roller Kingdom skaters, we need your help! Both of our Roller Kingdom locations have mascots. 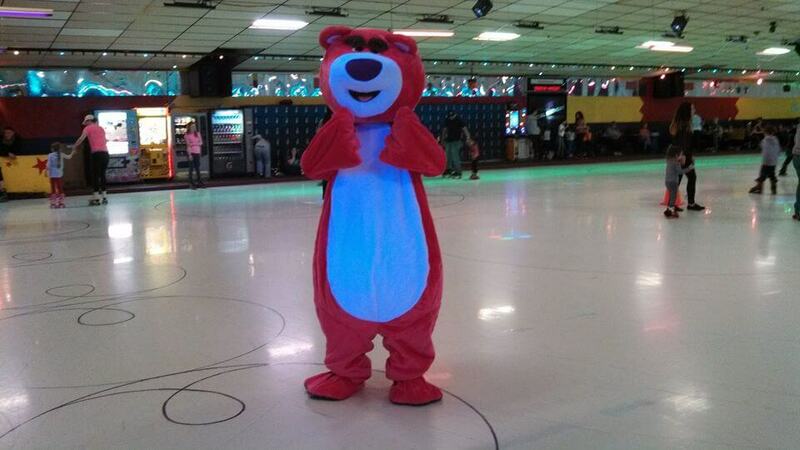 Our Tyngsboro skating rink has a pink bear, and our Hudson skating rink has a panda bear. Like all mascots, our bears have become a part of the family at Roller Kingdom. They have been spotted skating at birthday parties, photo bombing, and participating in all things Roller Kingdom. There are famous mascots associated with theme parks, cereals, cookies, and restaurants. They all have something in common that our bears do not have. They all have names. Yes, you read that right, our Roller Kingdom bears are currently nameless. We are asking our skaters, lasertaggers, karaoke singers, and arcade game players to help us come up with creative and fun names for our Roller Kingdom bears during our April Vacation Skates. 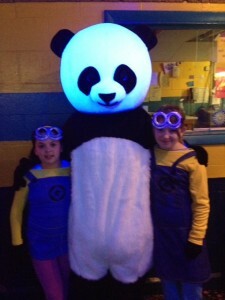 We will reward the person that names our panda and the person that names our pink bear with two free skating passes to Roller Kingdom! 1. Come on out to our Spring Break Skate. 2. Post your suggestion for each of our bear’s names to @Roller_Kingdom on Twitter. Make sure that you hashtag #nameourpanda for our Hudson panda bear. If you’re entering by naming our pink bear at the Tyngsboro Roller Kingdom, make sure you hashtag #nameourpinkbear. 3. All entries for the Hudson panda bear must be received by 4:30 pm on Friday, April 25, 2014. All entries for the Tyngsboro pink bear must be received by 4:30 pm on Friday, May 2, 2014. What are you waiting for? Mark your calendar for next week’s April Vacation Skate so that you can come on out and see our bears! Our Hudson April Vacation Skate is Monday – Friday (April 21-25) from 1 pm – 4 pm, and our Tyngsboro April Vacation Skate is Monday, Wednesday, and Friday for two weeks (April 21, 23, 25, 28, 30, and May 2) from 1 pm – 4 pm. Don’t forget we’ve got face painting at both locatons on Friday, April 25! We can’t wait to announce our winners! Make sure you follow along on Google +, Twitter, and Facebook to see all of the great names that our skaters come up with!